While federal investigators piece together why a small plane bound for San Jose crashed in a Southern California neighborhood, killing three people Monday, one expert says engine failure is a possibility. 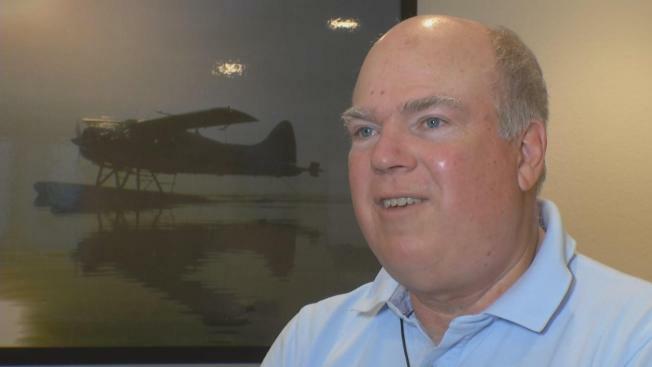 Max Trescott, a flight instructor at Palo Alto Airport, says the failure of one engine in a twin-engine plane could have produced a challenge to the pilot. "With the twin-engine aircraft, if you were to lose altitude shortly after takeoff, there is a lot that has to happen in a hurry," Trescott said. "The pilot has to be on the job and do things correctly." The Cessna 310 crashed into a Riverside neighborhood, setting several homes on fire. The male pilot and two women were killed, and two women who were ejected survived. None of the plane's occupants has been identified, but it is believed that all are from the San Jose area. A video of the plane going down, captured by a resident's security camera, appears to show smoke coming from the engines. "Seeing smoke," Trescott said. "People often report that when it wasn't really there, so I would say that is something that we cannot take to the bank." Trescott said an identical Cessna 310 crashed in East Palo Alto in 2010, killing four people onboard. He said the plane in Monday's crash was flying with 2-mile visibility at the time of takeoff, and the pilot filed an instrument flight rules plan, meaning he was not relying on just his own eyes. NBC Bay Area has learned that one of the victims killed in the Riverside crash was a former preschool teacher at Peppertree Preschool in Los Gatos. Her mother, one of the survivors, was in stable condition Tuesday night. The second survivor remained in critical condition, with burns over 90 percent of her body. The five people aboard the plane were returning from a cheerleading competition at Disneyland, in which relatives on the Union Middle School cheer team were participating. Results from the National Transportation Safety Board's investigation of the crash may not be available for weeks.